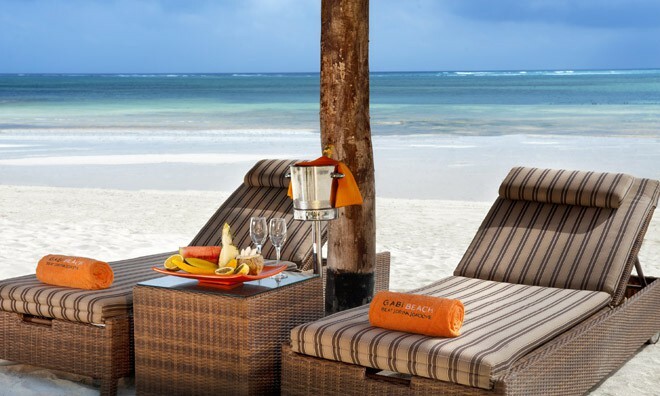 Close to Kiwengwa Village on the North East Coast of Zanzibar, you will find a luxury 5 star beach resort, Melia Zanzibar. 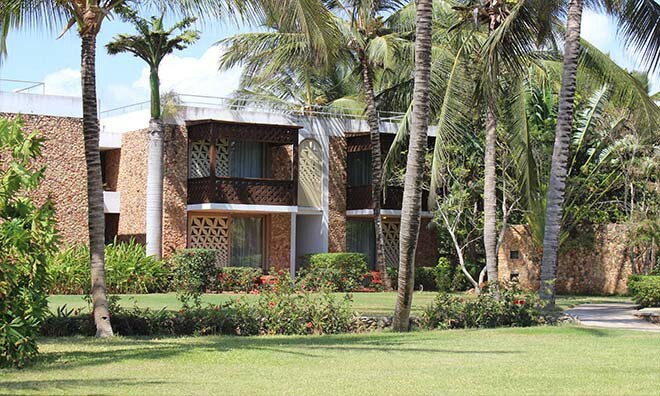 This Zanzibar Hotel occupies 40 acres of this exotic island with a private beach ringed by a natural coral reef. 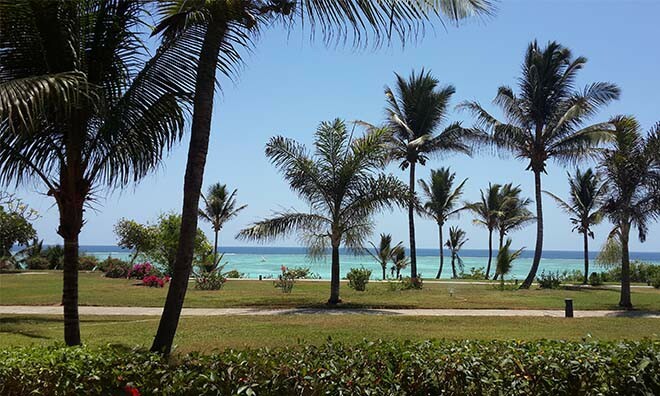 The international airport of Zanzibar is approximately 50 minutes away. 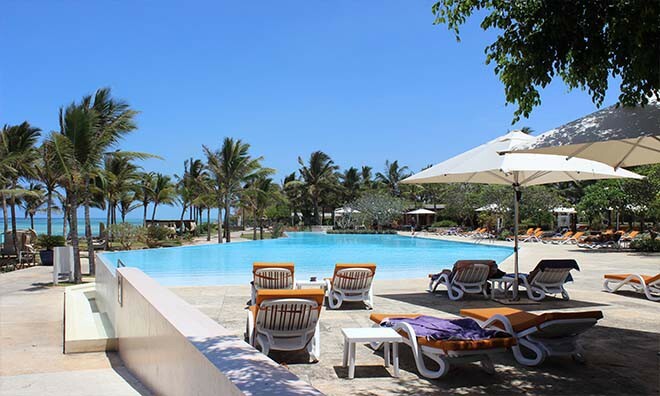 Melia Zanzibar is the perfect honeymoon and Zanzibar holiday destination with a total of 124 rooms comprising of 60 garden rooms, 40 terrace rooms, 7 Romance Ocean Front rooms, 10 Zanzibar Suites and 7 stunning Villas with private pools and gardens. The private villas offers concealed gardens and infinity pools. For the more romantic travellers we offer rooms that are decorated with large dreamy Zanzibari beds, remarkable bathrooms. 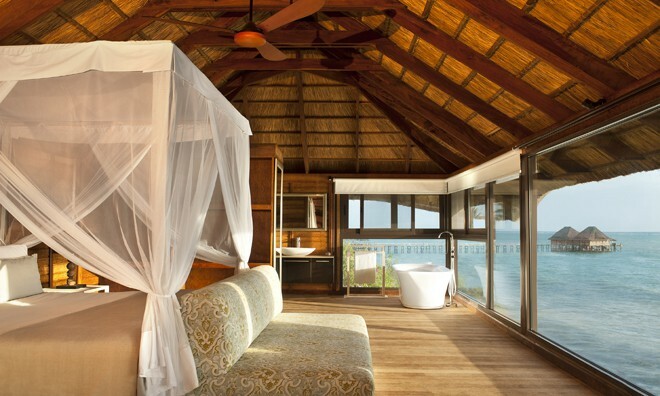 It also comes complete with an outdoor tropical rain shower with sky views and a private terrace overlooking the Indian Ocean. This striking resort is decorated with a contemporary feel and was refurbished during Summer 2011 to give our clients complete privacy. Children are VIP guests at Melia Zanzibar. Volleyball, canoeing and life jackets are available for guests at the beach club. Perched on the Cliff side overlooking the magnificent Indian Ocean, Aqua prides itself on its excellent al a carte menu with a definite Italian influence with African Touch. As relaxed as it sounds, the Pool Bar is the perfect venue for light meals, sandwiches, wraps, burgers and snacks. 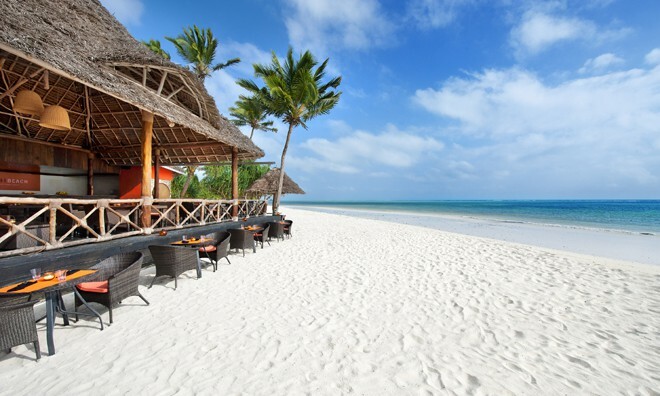 The powder- white sand of the Melia Zanzibar beach provides a dramatic natural entrance-way to the resorts beautiful Gabi Beach Club nestled quietly in the palm trees. 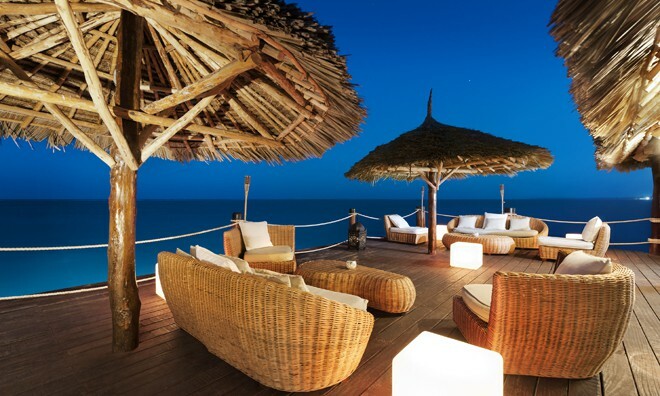 One of the landmarks of Melia Zanzibar is the beautiful jetty that transports you out into the Indian ocean. At the end of your walk you will discover the Jetty Bar & Restaurant - ready to welcome you for pre and after dinner drinks and snacks. Relaxing bar, offering Wine & Champagne. A unique mixture of buffet style Arabian and African influenced traditional food, promises an exceptional dining experience. This Restaurant is a replica of the traditional spice market in Stone Town, Zanzibar. Featuring three open show cooking islands and walk out onto a gorgeous terrace wrapped by Island Trees, makes this Zanzibar Restaurant is a must do, when staying at Melia. Chefs from around the world creates themed evenings like Tropical Seafood, Asian and Mediterranean. This Melia Restaurant offers breakfast , lunch and dinner. The Spice Market also offers live music some nights and the dress code is smart casual. 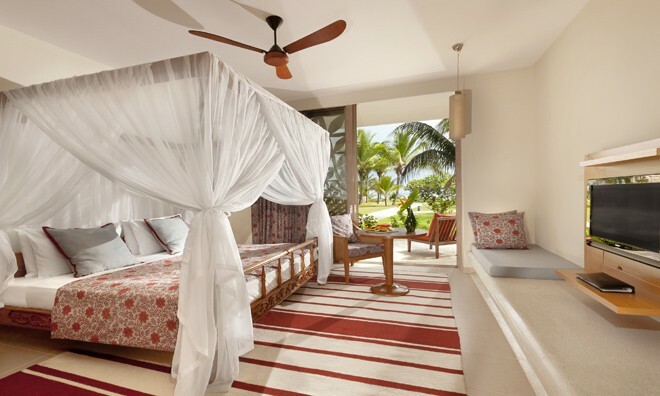 Stay at this Zanzibar hotel and experience an unforgettable Holiday. 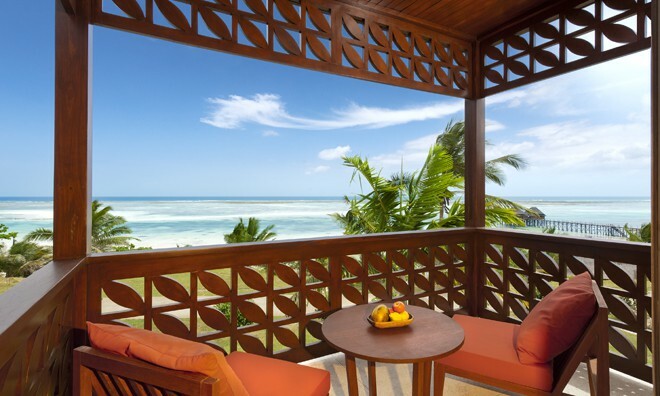 Why not share your experiences and reviews with the community and write a review for Melia Zanzibar.